How Do I Convert An M2T Video File? An M2T file is a very common and popular video file for storing high definition videos captured or recorded on a HDV camcorder. 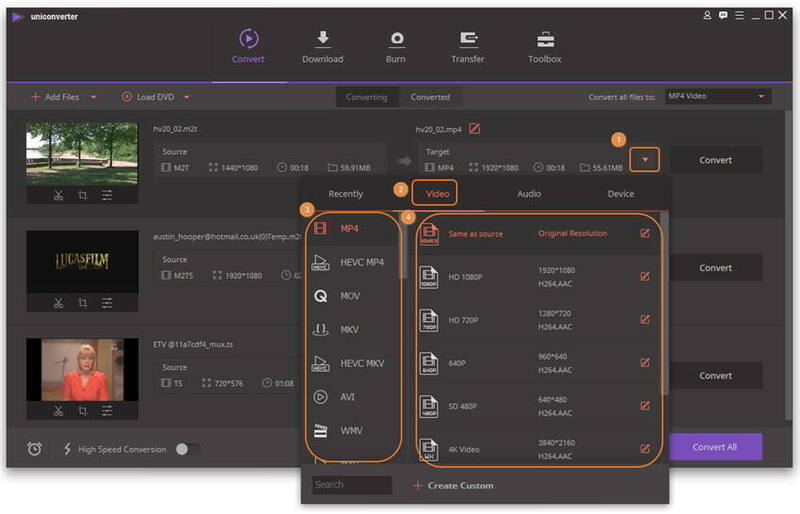 Mac users prefer to use ClipWrap, a video converter to convert the M2T files to a different file type for further editing purposes or playback on their Apple devices. However, ClipWrap is only designed and downloadable for Mac operating system. Besides that, the choice of your output video formats is only limited to a few choice. If you wished to either edit your M2T files on a Windows operating system or convert M2T to other file type, you will surely need an alternative program. The Wondershare UniConverter (originally Wondershare Video Converter Ultimate) might be the best you would come across. The software is not only compatible for both Windows and Mac operating system but it also offers a wider range of output video format for the convenience of playback on almost all kinds of devices. Click the above given download link to download the right verion of Wondershare UniConverter (originally Wondershare Video Converter Ultimate) for your computer. Launch the program after installation, then click the Add Files button to load your target M2T video, or simply drag-n-drop your M2T files onto the program, the video files will be stacked up as the screenshot shows below. 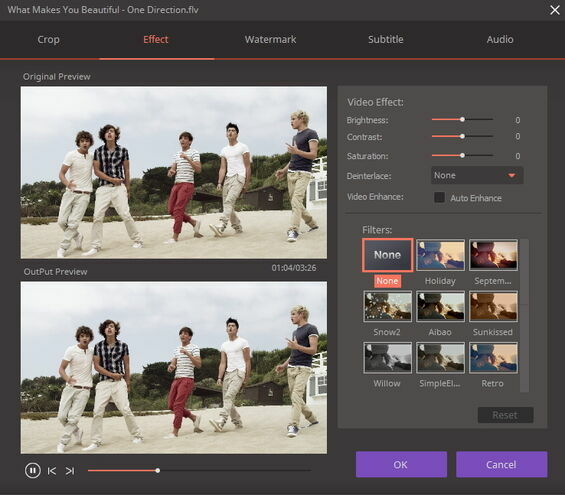 Depending on your Windows PC and the pre-installed version of Windows Movie Maker, you can probably use it to edit your M2T files. However, you might want to try out the editing features that’s built-into the UniConverter (originally Wondershare Video Converter Ultimate) and check out the differences. You can instantly view the changes made to your original video from the Output Preview window on the right. Just apply those effects and see how it fits in real-time. Click-on Cancel if you are not satisfied in order to work on it again. Otherwise, proceed with OK to Step 3. Select your preferred output format or portable device you wish to watch your converted M2T videos on. Other than that, you can also upload the videos online and share it through Facebook or YouTube. 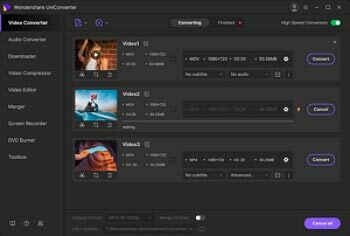 There’s practically no restriction on where and how you can enjoy your videos once you’ve started to use the Wondershare UniConverter (originally Wondershare Video Converter Ultimate). Click the Convert button to innitiate M2T video conversion immediately. Once finished, just go to Converted tab to get the converted video files.